New Delhi (Sputnik): India's Kudankulam will become the country's first nuclear power park by 2026. A nuclear power park refers to a site with a number of large capacity reactors that have a total capacity of 6,000 MW or more. While the first and second units of the Kudankulum Nuclear Power Plant (KNPP) are fully operational, the third and fourth units are being constructed at a cost of approximately $6 billion. The government has sanctioned $7.5 billion to the fifth and sixth units of the plant. The overall cost of the the nuclear park will be around $17 billion. "The total completion cost of the six units at Kudankulam is INR 111932 crore ($17 billion). The units at the site are expected to be completed progressively by 2025-26," Jitendra Singh, India's minister of state for atomic energy, informed the Parliament on Thursday. 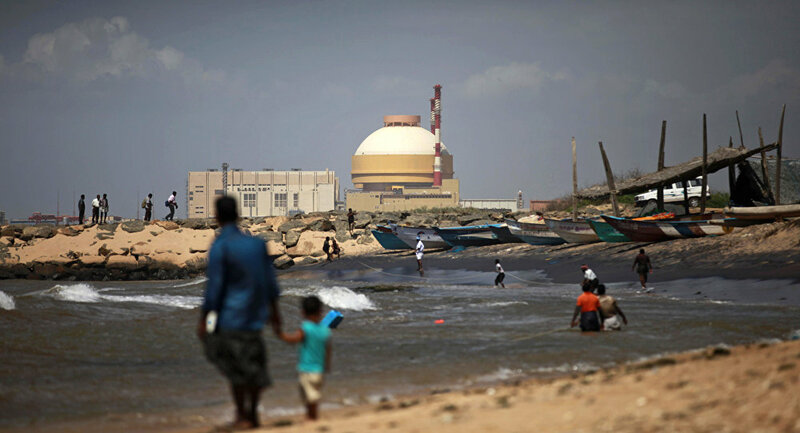 India aims to complete the construction of seven other nuclear power reactors, presently at different stages of construction, in the next seven years at a cost of $7.5 billion. In addition, 12 more nuclear power reactors were accorded administrative approval and sanctioned by the government in June 2017.